An RSS Feeds is a quick and easy way to read content online. 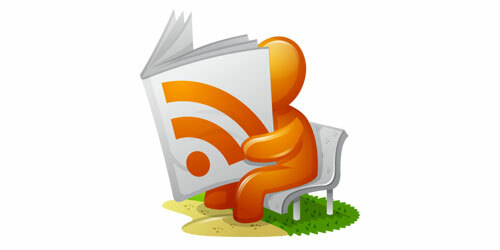 More and more articles and news based websites are offering an RSS feed. This is one way to give your visitors an easy way to get your website's content. Your visitors can come to your website, subscribe, and view your content an RSS reader. RSS also know as Really Simple Syndication is a web format to deliver changing content. This content you provide can be your news, articles, or even podcasts. Your RSS feed for you website can contain your full article or a summary with a link to your content. This can give your visitors a quick and easy way to keep up with your site, without actually coming to your site. With your RSS feed in place on your website, you visitor now can enhance it to another level. Using software and subscribing to your site. It will notify them whenever you update your site with new content. There is a vast variable of RSS readers available. The best thing about RSS subscribing is they notify you when there is a new article. Making it very easy for your subscribers to see the newest content. Most websites are using the RSS Feed 2.0 Version. It is the newest version and is very stable. If you are thinking of starting an RSS feed for your blog, check to see what platform you are using. As RSS feeds are becoming a norm with all content management system, it may already be ready to use. CMS like WordPress, Drupal, and Joomla all have pre-built RSS feed generation in them. You just need to verify that the plug-in is currently on and is viewable to guest users. If your site doesn't currently have an RSS feed you can go two way in creating one for your users. You can manually hand code one and update it as you update your site. You can use the example code above to get started. Second, you can use an online RSS feed generator that can use your current website or your XML sitemap. These do a pretty good job, but you need to scan through it to make sure the content is properly formatted. RSS Feeds are easy to learn and use. This has hopefully cleared some questions your might have with RSS Feeds. It should be something to consider when developing your website. This gives you another channel to gain exposure to your loyal users. There shouldn't be any other reason not to. They can even be used as a backlink strategy for your SEO campaign.